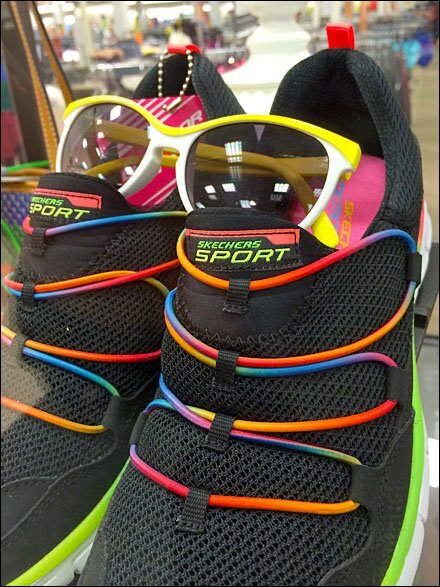 I look cool and sporty in my “shades,” and so that must be the theory behind putting sunglasses on a pair of Skechers® … they look cool. Celebrate Summer with this new look for your tootsies and your peepers. CLICK the thumbnail to see that you can dress your arm with a new purse and sunglass pair if you like too. 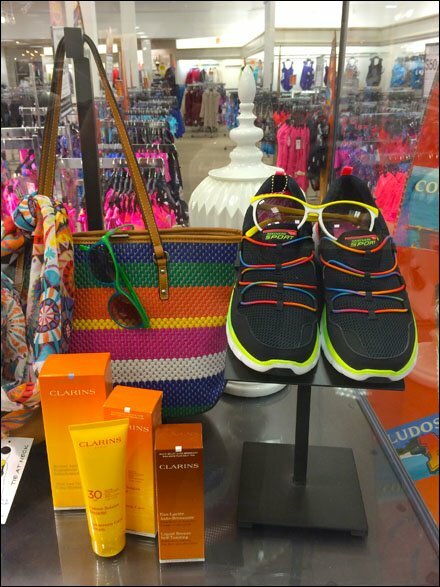 Simple Visual Merchandising to promote a upbeat Summer theme. Look close to see that a Black Powdercoat Pedestal stretches to put the Skechers more fir my in view.